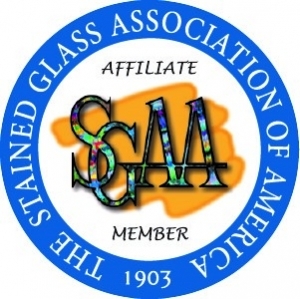 Advanced Stained Glass - Foil Method... Sign Up Now! Just in time for holiday gift giving, we'll be learning how to make 3-D projects. 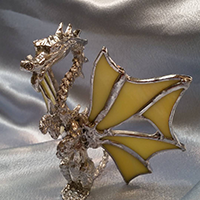 Boxes, sun catchers, and DRAGONS!!! 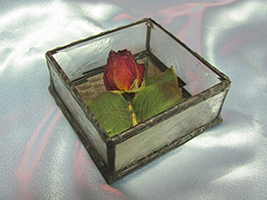 Advanced skills include using wire to reinforce your glass, or to make decorative embellishments. These skills will help you when you are ready to give panel lamps and other larger pieces a try. Watch live and ask questions while I work - think of the possibilities! 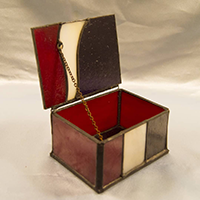 You can still purchase the first class - Beginning Stained Glass - Foil Method if you want to brush up on your skills before the class!